The House Education Committee today ignored the whole education community and the Legislature’s School Efficiency Task Force and instead sided with the Kansas Policy Institute in their latest attack in the war upon Kansas educators. Here’s the whole timeline of PNA discussions in the legislature. At the end of the 2013 legislature, after contentious hearings on a number of bills changing the professional negotiations act – bills ranging from eliminating it entirely to more modest attempts to simply deny teachers a voice in certain aspects of their professional lives – Representative Marvin Kleeb called upon the four major education organizations asking them to come together and find mutually agreeable changes to the PNA. The four organizations (KNEA, KASB, USA/KS and KSSA) spent 18 months in negotiation, reaching an agreement on January 21 of this year. In the meantime, Governor Brownback appointed a school efficiency task force composed of CPAs to find ways to make schools more efficient with the state money given to them. Despite having no testimony on collective bargaining, their report carried the recommendation that collective bargaining be limited. Later, the K-12 School Efficiency Commission decided to debate the same issue. The four education organizations came before the Commission and asked them to do nothing while the negotiations were ongoing. Despite urging from KPI’s Dave Trabert who wanted the Commission to go after teachers, the Commission voted to put only encouragement to the four groups to finish their work in the report. Trabert, Mike O’Neal, Sam Williams, and Dennis DePew then wrote a “minority report” and Williams presented it to the House Education Committee. The Committee leapt at the chance to introduce legislation at the request of the Koch-funded Kansas Policy Institute. The House Committee held a hearing on the KPI/Trabert collective bargaining bill. United School Administrators Executive Director Cheryl Semmel spoke on behalf of the four education organizations. Representatives of the other education organizations were on hand to answer questions. The only person appearing before the committee to support the minorlty report bill was Dave Trabert. In the meantime, a bill representing the negotiated agreement among the educators was introduced in both the House and Senate (HB 2257 and SB 136). At 1:30, the Senate Education Committee convened to hold a hearing on SB 136 (the Educators’ bill) and the House Education Committee convened to debate HB 2034 (Trabert’s bill). Cheryl Semmel again representedg the four organizations in the Senate where she was supported by John Heim, KASB Executive Director, John Rasmussen, KASB Legal Counsel, and Mark Desetti, KNEA lobbyist. Patrick Woods, Topeka 501 School Board member, also spoke eloquently in favor of the bill. No one came before the Committee in opposition. Over in the House, Representative Sue Boldra (R-Hays) offered an amendment to replace the Trabert language with the educators’ agreement. After vigorous debate, there were only 8 votes for the amendment (it takes 10 to pass an amendment or bill in the committee). Shortly after that, a motion to adopt the Trabert bill was passed with 11 votes. The House Committee took this anti-educator vote while the Kansas Teacher of the Year Team sat in the front row of the committee room observing. It makes one wonder, doesn’t it? What is the state of representative government when the Legislature calls upon a group with expertise in the field to address issues and bring recommendations and then rejects those recommendations for an alternative crafted by a lobbyist who has never worked in the field and does not represent people who do? Because the vote is not a recorded vote, we cannot tell you precisely how the Committee members voted. We can, however tell you that Representatives Macheers, Barker, Dove, Rhoades, and Lunn all spoke in favor of the Trabert bill while representatives Boldra, Smith, Ewy, Dierks, Winn, Trimmer, and Bridges all spoke strongly in favor of the Boldra amendment to support the education organizations. Now is the time to turn your attention to the full House of Representatives as this bill must now be subject to a vote by the full body. HB 2034 was rejected by the K-12 Student Performance and Efficiency Commission, it was pulled from a minority report. HB 2034 is opposed by the Kansas Association of School Boards, the Kansas Superintendents Association, United School Administrators/Kansas, and the Kansas NEA. The Education organizations have a bill amending the Professional Negotiations Act, HB 2257, that they all support. HB 2257 will make negotiations more efficient, more effective, and more focused. No one in the education community has expressed support for HB 2034. If HB 2034 comes to a vote on the House floor, I urge you to vote NO. Instead, support HB 2257 or a motion to replace HB 2034 with the contents of HB 2257. 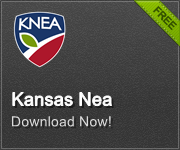 Click here to access the KNEA Contact Your Legislator Portal.